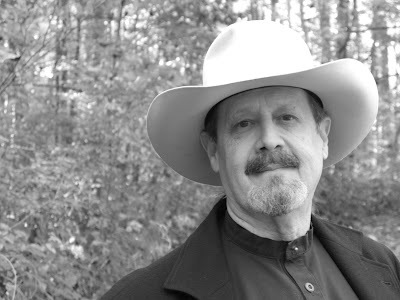 Charles F. Price is a writer of historical fiction and nonfiction who began his authorial career in 1995 after nearly thirty-five years living in places he mostly didn’t like and doing largely unimportant and unrewarding things. He and his dear wife Ruth and their tyrannical cat Salem live in the mountains of Western North Carolina near a small town and artists’ colony called Burnsville. A native of this region, he has written much about his highland homeland, having published four novels about it and another about the American Revolution in South and North Carolina. Next spring he will bring his first nonfiction book into print. It will reflect his lifelong interest in the history of the American West. He has written numerous essays and contributed to several historically-inclined magazines. He holds a Masters of Public Administration from the University of North Carolina at Chapel Hill, NC (1977) and an undergraduate degree in History and Political Science from High Point University, High Point, NC (1961). More of the facts of his life and work may be found in other places on this website and at http://en.wikipedia.org/wiki/Charles_F._Price. He wants readers to know that he has never been happier.